Iowa has a very resilient economy and throughout the years has boasted one of the lowest unemployment rates according to data taken from the US Department of Labor. While most salaries and income of civilian workers here are not that much higher than most Midwest states, the economy has remained steady because Iowa has so many different business sectors. It’s been commonly thought of as an agricultural state, and it’s true that farming does still play a significant role in the overall economy, but there are so many jobs in manufacturing and food production as well as fortune 500 companies and biotech industries. Most of Iowa’s state credit has been rated as very good, but there are still individuals and families in Iowa who struggle with debt. If you’re a person who also struggles with debt, it’s probably time to consider debt consolidation. Who Provides Debt Consolidation In Iowa? Debt consolidation is a way to payoff your debts by organizing them into one debt loan, or by developing a systematic method to pay them all off. You might look at obtaining a debt consolidation loan from an Iowa bank or a third party lender, but you also might consult with a debt counseling or debt management center for obtaining either a loan or building a payment plan. You might even consider hiring an experienced attorney to advise you on debt payments and represent you should your case go to court, but that should only be done if it’s absolutely necessary. A debt consolidation loan is applied for just like any other personal loan. 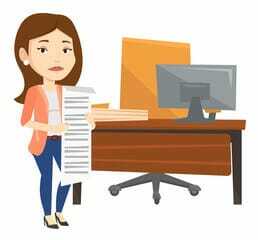 You’ll need financial documents and have paperwork to fill out, and expect the lender to run a credit report check on you, though some lenders may still approve you for a loan even if your credit score isn’t good. 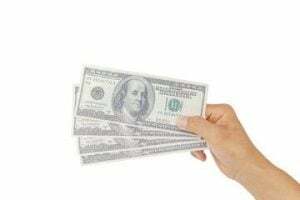 You don’t just have to obtain a debt consolidation loan from the bank, there are peer-to-peer lenders and other independent lending agencies online, and obtaining a loan from them may be easier than the wait that might come with getting a loan from the bank. You also might find a debt consolidation loan with lower interest rate than one that a bank provides. Once you’ve gotten your debt consolidation loan, you need to make sure all of your efforts are immediately focused on repaying that loan. It should not be used to make a lot of miscellaneous purchases even if they’re small because those can add up tremendously over time. You should have a budget on hand with realistic payment options that can get the loan paid off in a relatively short time because you never know when other unforeseen expenses could come up. Never take on a loan that’s larger than your debt and that comes with monthly payments larger than you can afford to make. Sometimes you’re not able to obtain a debt consolidation loan either due to your credit score or a lack of sufficient collateral, or perhaps even because your debt is too high. Even in this case you still might have other options besides filing for bankruptcy. You might seek out debt counseling and a debt management plan. 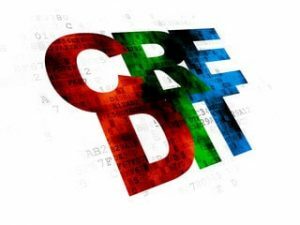 Some debt counseling centers can even work with your creditors to find a payment option that you can afford, and the creditors may be agreeable to that plan if you show good faith that the debts will be paid. In some cases, you may be able to obtain partial debt forgiveness, though rarely will it ever be total forgiveness. Be aware of any hidden fees associated with debt counseling agencies and do your research with the Better Business Bureau or the Iowa Attorney General’s office to see if there are any complaints against them. You might even ask friends or family if they have any recommendations to a particular debt counseling center. But if the debt counseling center is unable to provide you with an adequate debt payment plan or negotiate with your creditors, an attorney might be able to assist you. Attorneys are more practical to hire for handling debt cases when legal actions are becoming necessary. You don’t want to hire an attorney from a debt settlement firm, but instead find a reputable law firm that has won other cases and that has lawyers who can actually represent you in court. Legal actions that constitute the hiring of an attorney would be forbidden collection efforts as outlined by the Fair Debt Collection Practices Act. Attorneys can help you fight aggressive collection actions taken by your creditors as long as you maintain evidence of such attempts by them. If your debt case becomes too great that bankruptcy is the only way out, they can also help you file the necessary steps and guide you on what to do next to recover from bankruptcy.